Amrapali Dubey's Hot And Sensuous Dance With Dinesh Lal Yadav Aka Nirahua on Chehra Tohar crosses 1.4 million views. 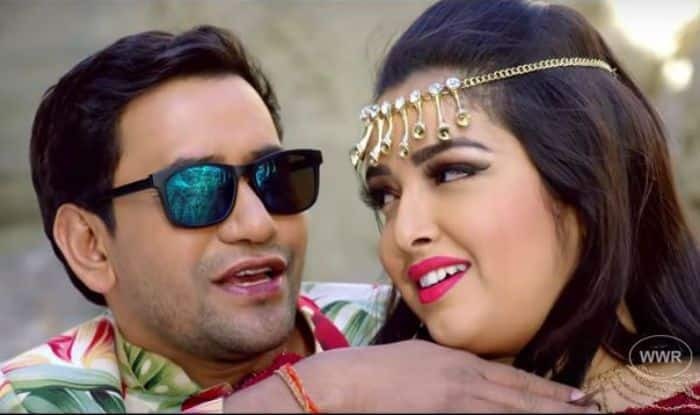 Bhojpuri rumoured couple Amrapali Dubey and Dinesh Lal Yadav aka Nirahua are one of the most popular jodi in the industry. Their upcoming film Nirahua Chalal London will release on January 24, 2019. After their trailer, now the song Chehra Tohar is going viral on social media. The song has garnered more than 1.4 million views on YouTube and still counting. In the romantic track, Amrapali and Nirahua are seen dancing at a picturesque location. She is seen dressed in a red gown with a golden jewellery piece on her head whereas Nirahua is seen donning a white t-shirt with printed shirt teamed up with white pants.